Pocket Gardens are affectionately known around the globe as “small gardens in unexpected places.” That pretty much summarizes these promotional gems as well. The contents include 3 colorful die-cut seed paper shapes that will grow into a wildflower garden. 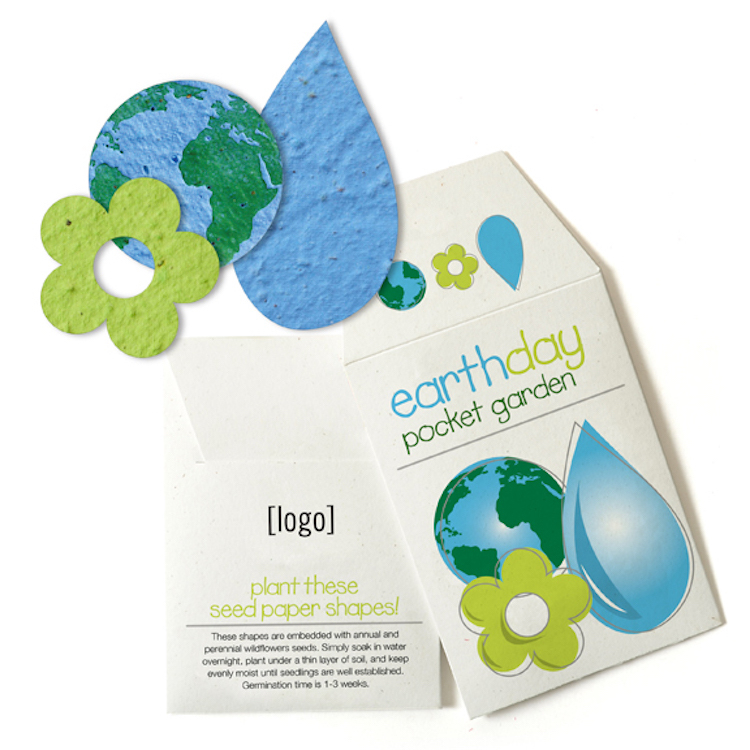 Each pocket garden pack is custom printed in 4-color on our white cardstock paper.